It was said of Merv Everett that it was ‘difficult to think of any other Tasmanian who, with such distinction, served both his State and the Commonwealth of Australia in such a variety of fields, judicial, political, administrative and academic’. Mervyn George Everett was born in Sandy Bay, Hobart, on 7 October 1917, the third child of William George Everett, a clerk, and his wife Cecilia Vida, née Bumford. Intellectually gifted, he was educated at Hobart High School, matriculating at the age of fifteen. After leaving school, Merv, as he would be known, joined the Hobart Mercury as a junior reporter. Appointed as private secretary to the Tasmanian Labor Attorney-General in 1939, Everett was transferred to the post of acting private secretary to the Minister for Transport in 1941. He studied part-time, was awarded the degree of Bachelor of Arts at the University of Tasmania in 1942, and enlisted in the AIF in March of that year. From 1943 to 1945 he worked primarily in military intelligence, serving in the South-West Pacific from June to November 1945, before being discharged in March 1946, at which time he joined the Solicitor-General’s Department. By 1947 he had completed an LLB at the University of Tasmania, and went on to lecture in Equity, Legal History and Property at the university for some years. In 1948 he was admitted to the Supreme Court of Tasmania as a barrister and solicitor. From about 1949 to 1951 he was a member of a firm that included R. C. Wright. In 1951 Everett established his own firm, Everett and Wicks. He took silk in 1964. Winning the seat of Denison for Labor in the House of Assembly election of 2 May 1964, Everett immediately became Minister for Health, soon showing that he was one of Premier Eric Reece’s abler colleagues. As well as an outstanding ability to absorb a large amount of detail on a wide range of government matters, Everett had, according to historian W. A. Townsley, ‘a voracious appetite for work’, and was ‘always at his best when heavily engaged with legal and legislative business’. He lost office with the Government’s defeat in 1969, but when Labor returned in power in 1972, he became Deputy Premier, Attorney-General, Minister for the Environment, and minister with responsibility for racing and gaming. Everett soon found himself embroiled in the increasingly bitter environmental struggles that were to have a lasting impact upon Tasmanian politics. In July 1972 the Lake Pedder Action Committee sought the ‘fiat of the Attorney-General to allow litigation to proceed and test whether or not the inundation of parts of the South-West National Park was contrary to the proclamation under which [the Park] had been established’. While Reece refused to accept the legitimacy of this request, and foreshadowed legislation to validate the flooding, Everett, believing that the fiat should be granted, resigned from the ministry. As he said later, ‘Most of my colleagues appeared to see it in purely political terms, but my duty as Attorney-General … was not to decide whether Lake Pedder should be flooded or not, but whether there was a legitimate legal question … which should be resolved in the courts’. Everett returned to ministerial office thirty-five minutes after the validating legislation (the Hydro-Electric Commission (Doubts Removal) Bill) passed the Tasmanian Parliament in August 1972. While he believed that the issue was ‘finally decided’ with the people’s representatives having acted, his relationship with Reece was said to have been permanently damaged. In 1973 Everett had carriage of the Crown Advocate Act, the first of its kind in Australia, establishing what is now known in Tasmania and in other jurisdictions as the Office of the Director of Public Prosecutions. In the following year he introduced the Law Reform Commission Act (similar legislation had been enacted in other states and the Commonwealth), which sought to simplify the law and make it more accessible to the public. He also played a major role in the establishment of the Constitutional Convention in Sydney in 1973, serving on its steering and executive committees. 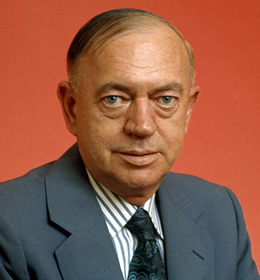 Freely tipped to replace Reece when the Premier left the scene, Everett surprised many Labor colleagues by gaining Senate preselection for the 1974 double dissolution election. The Mercury was stunned: Everett had ‘dominated State politics for a decade’. The Tasmanian Senate campaign had an element of farce when Everett’s daughter Rosemary, already a candidate for the ‘Senate Independent’ team, chose to see her father’s bid for the Senate as a personal attack on herself, and claimed that ‘any small amount of respect’ she had had for her parent had been ‘dispelled’. At this, Rosemary was dropped from the Senate Independent team while her father was the seventh senator elected. In accordance with established Senate procedure after a simultaneous dissolution, Everett was elected for a three-year term. Sworn in the Senate on 9 July 1974, Everett showed a particular interest in foreign affairs, asking questions on the safety of Australian police in Cyprus, wheat sales to China, aid to African liberation movements and to Papua New Guinea, and civil disturbances in Bangkok. While his speeches included many references to Tasmania, he was by no means parochial. Above all else, he was a supporter of the reformist legislation of the Whitlam Government, selecting for comment bills that would benefit from his knowledge and application of the law. His praise of the Administrative Appeals Tribunal Bill of 1975 as creating ‘a new stream of rights for the benefit of the public’, revealed his deep-seated concern for civil rights, exemplified also by his membership of the bipartisan Senate Regulations and Ordinances Committee. His first speech, in August 1974, was a knowledgeable dissertation on the highly significant Trade Practices Bill. He referred to the report of the Joint Committee on Constitutional Review of 1959, including the dissenting report of Senator Wright, and also to the 1964 Royal Commission by Professor Grant of Tasmania into restrictive trade practices in that state. He mentioned the Senate Select Committee on Securities and Exchange, appointed by a previous Liberal Government, and headed by Senator Peter Rae. His conclusion, without rhetoric and with little politics, was a succinct summary of his reasons for supporting the bill. He took a keen part in the important committee stage of the bill, which, despite amendments to accommodate the shadow Attorney-General, Senator Ivor Greenwood, passed the Senate. In speaking to the Family Law Bill, aimed at eliminating the concept of fault in divorce proceedings and making a year’s separation the sole grounds for divorce, Everett acknowledged the high standard of debate on this legislation and its lack of acrimony. He spoke of the Senate Standing Committee on Constitutional and Legal Affairs, of which he was a member, which examined in detail the provisions of the bill, and of his long professional practice in the application of the law that had convinced him of the need for its reform. He referred, with examples, to the ‘unnecessary humiliation and distress’ caused by the existing law (the 1959 Matrimonial Causes Act), which had not ‘reflected credit on our legislators’. It was a rational and convincing speech, which concluded by paying tribute to fellow committee members and Liberal senators Missen, Durack and Chaney. After a free vote, the Family Law Bill passed the Senate on 27 November 1974. The National Compensation Bill, based on a central plank of Labor’s election policy, and intended to remove the ‘inequality of luck’ by providing compensation to all people incapacitated by accident or illness, was introduced into the House of Representatives on 24 October 1974. After a fast and fiery passage in the House, the legislation was introduced in the Senate on 30 October, when Everett moved that the bill be referred to the Senate’s Standing Committee on Constitutional and Legal Affairs. By early February 1975, Everett had replaced James McClelland as chairman. He pushed the committee into an extensive and exhausting consultative process, which caused a delay of almost twelve months. The majority report in July stated that while the committee was attracted to many of the principles in the bill, it believed that the legislation contained ‘significant deficiencies’, and recommended it be withdrawn and reconsidered in accordance with the committee’s fifteen recommendations. Essentially, the committee baulked at the way in which the scheme had been constructed, with Everett, (considered by one observer as the most reformist member of the committee) claiming that success of such a grand plan depended ‘as much on the detailed provisions of the scheme as on the philosophy which is its genesis’. Whitlam was reportedly furious with the committee and its chairman, and declared his government’s determination to proceed with the legislation, but a new review had not been completed by the time Parliament was dissolved on 11 November. Later, Senator Chaney praised Everett’s work as committee chairman and his outstanding skill in drafting legislation and as a writer, while Whitlam would continue to declaim upon the delaying tactics of the Liberal Opposition senators, and the Labor senators and lawyers on the committee who had aided and abetted them. Everett was a legislator of great worth, utterly honest, with a keen eye for flaws and inconsistencies, who was more concerned with the quality of the legislation for which he was responsible than playing party politics. He was well thought of in the Federal Parliamentary Labor Party, serving on two Caucus committees: urban and regional development, and legal and parliamentary (as deputy chairman). Loyal to both his principles and his party, in 1975 he strenuously opposed the Liberal–National Country Party Opposition in the Senate for its delay in passing the appropriation bills, speaking passionately against what he called ‘the nadir of political perversity’. With the dismissal of the Whitlam Government on 11 November 1975, Everett, with the other four Labor senators elected in 1974, returned to Tasmania to face preselection for the December election. It was unlikely that all five senators would be returned again, especially as a popular independent, Brian Harradine, was also a candidate. An awkward situation as to who should take the ill-favoured fourth and fifth positions was alleviated only by Everett’s quixotic offer to run in the fifth position. As anticipated, he lost, though by less than 2000 votes, with the fourth and final Labor seat going to Don Grimes. ‘I may blow some dust off some law books’ was Everett’s response to defeat, and by the following year he was back in private practice. In 1978 he was appointed to the Supreme Court of Tasmania, and in 1984 was the first Tasmanian elevated to the Federal Court. In 1984 he became president of the recreated Inter-State Commission, the legislation for which had been established by the Whitlam Government in 1975, and which he had supported as promoting equity for Tasmania. Between 1985 and 1988 Everett was chairman of the Constitutional Commission’s Advisory Committee on Trade and National Economic Management. In 1977 and 1978 he chaired two boards of inquiry into forestry development in Tasmania, and in 1988 called for a national legal summit for the formulation and modernisation of legal practice in Australia. In June 1988 he was appointed an Officer of the Order of Australia. Merv Everett died in Singapore on 27 October 1988. Intrigued by the Nuremburg war trials, he had been a visiting scholar at the Max-Planck Institute of Public International Law in Heidelberg, West Germany, and at the time of his death was continuing his researches in Singapore. He had also undertaken work for a PhD, which was awarded posthumously in 1992. Everett had married three times. On 11 July 1940, at Wesley Church, Hobart, he married Anna Constance Fraser, a typist. The couple divorced in May 1953 and, on 3 July, Everett married Jenny Murray Taylor, née Williams. Jenny too was a divorcee. Following their divorce in 1961, Everett married Daphne Grace Hall, a nurse, in Melbourne, on 10 December 1965. Everett had two children from his first marriage and two from his second. Though once described as a loner and a workaholic, Everett, who found refuge in his waterside cottage at Nubeena on the Tasman Peninsula, was reported as saying, ‘You cannot satisfactorily advise and help a person unless you relate to that person’, and that he felt sad at finding ‘widespread a situation in which no consideration whatsoever is given to the feelings of people and clients’. Such feelings had prompted his best speeches in the Senate, and his adept handling of the Constitutional and Legal Affairs Committee. At his death, the Leader of the Government in the Senate, John Button, said that he felt privileged to number Everett among his closest friends. ALJ, Feb. 1989, p. 143, Dec. 1978, p. 714; Mercury (Hob. ), 7 Nov. 1988, p. 8, 28 Oct. 1988, p. 9; The editor acknowledges the assistance of Tony Harding, Payroll and Personnel Officer, Mercury newspaper, Hobart, Kerry Worsley, Department of Justice, Hobart, and Michaela Lightfoot, Alumni Officer, UTAS; Everett, Mervyn George—Defence Service Record, B883, TX4836, NAA; Mercury (Hob. ), 28 Oct. 1988, p. 9. W. A. Townsley, Tasmania: Microcosm of the Federation or Vassal State 1945–1983, St David’s Park Publishing, Hobart, 1994, pp. 257, 318–19. Gough Whitlam, The Whitlam Government 1972–1975, Viking, Ringwood, Vic., 1985, pp. 527, 603; Doug Lowe, The Price of Power: The Politics Behind the Tasmanian Dams Case, Macmillan, South Melbourne, 1984, pp. 40–1; Pedder Papers: Anatomy of a Decision, Australian Conservation Foundation, Parkville, Vic., 1972, p. 24; Mercury (Hob. ), 31 July 1972, p. 1, 28 Oct. 1988, p. 9; Herald (Melb. ), 3 Aug. 1972, p. 4; Townsley, Tasmania, p. 303. Draft speech for the Attorney-General: M. G. Everett Memorial Service, 1988, AGD1/1/908, AOT; Australian (Syd. ), 13 Apr. 1974, p. 1; Mercury (Hob. ), 2 May 1974, p. 1, 15 Apr. 1974, p. 2; SMH, 15 Apr. 1974, p. 3; Mercury (Hob. ), 21 May 1974, p. 1. CPD, 17 July 1974, p. 195, 30 July 1974, p. 531, 30 Oct. 1974, p. 2118, 19 Aug. 1975, p. 18, 21 Aug. 1975, p. 144, 3 June 1975, pp. 2154–7, 4 June 1975, pp. 2209–13, 2225. CPD, 13 Aug. 1974, pp. 826–30, 14 Aug. 1974, pp. 909–10, 925–6, 930–1, 15 Aug. 1974, pp. 973–4. CPD, 29 Oct. 1974, pp. 2053–60, 21 Nov. 1974, pp. 2637–8, 2646–7, 2651–2, 2656–7, 2671, 26 Nov. 1974, pp. 2754–5, 2764–5, 2771–3, 27 Nov. 1974, pp. 2852–4, 2878–80; Senate, Journals, 27 Nov. 1974, p. 399. Tom Roper, ‘Social Welfare’, in Hugh Emy, Owen Hughes and Race Mathews (eds), Whitlam Revisited: Policy Development, Policies and Outcomes, Pluto Press, Leichhardt, NSW, 1993, pp. 191–2; CPD, 3 Oct. 1974 (R), pp. 2171–5, 30 Oct. 1974, pp. 2147–8, 2153; CPP, 142/1975; Geoffrey Palmer, Compensation for Incapacity: A Study of Law and Social Change in New Zealand and Australia, OUP, Wellington, 1979, pp. 146–50, 158–67; Whitlam, The Whitlam Government 1972–1975, p. 640; CPD, 1 Nov. 1988, p. 1683. CPD, 21 Oct. 1975, pp. 1302–3. Mercury (Hob. ), 13 Nov. 1975, p. 1, 15 Dec. 1975, p. 10. Mercury (Hob. ), 15 Dec. 1975, p. 10; ALJ, Feb. 1989, p. 143, Sept. 1984, p. 533; CPD, 21 May 1975, p. 1700; ALJ, May 1988, pp. 323–4. Mercury (Hob. ), 28 Oct. 1988, p. 1; Examiner (Launc. ), 28 Oct. 1988, p. 1; ALJ, Feb. 1989, p. 143; Townsley, Tasmania, pp. 408–9; Mercury (Hob. ), 7 Nov. 1988, p. 8; CPD, 1 Nov. 1988, pp. 1681–2. This biography was first published in The Biographical Dictionary of the Australian Senate, vol. 3, 1962-1983, University of New South Wales Press Ltd, Sydney, 2010, pp. 177-181.